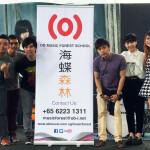 Established since 1986, Ocean Butterflies Music was initiated by five young and budding Singaporeans – Billy Koh, Koh Nam Seng, Huang Yuan Cheng, Zhang Jia Qiang and Colin Gohwho have the same passion in music and aspire to promote local music to greater heights. First started off as Ocean Butterflies Productions, the company was the pioneer of Xin Yao (新谣) who produced and promoted majority of the XinYao hits. The first Xin Yao album “Tomorrow 21” produced in 1984 sold more than 150,000 copies and became the top selling local album of the year. As the craze for Xin Yao fades off in the early 90s, Ocean Butterflies Music moves on to venture into the Mando-pop industry, successfully groomed Singapore’s first Mando-pop Queen – Kit Chan, followed by A-Do whose debut album hit 1 million sales in the Asia region. 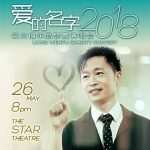 JJ Lin debuted in 2003 and has successfully made his mark in the industry ever since, and he was regarded as the most successful artiste launched by Ocean Butterflies Music. In 2006, Ocean Butterflies Music released their first girl group – BY2 and has become the only girl group in Asia region who possessed great ability in singing and dancing. Ocean Butterflies Music continues striving to enhance the music and entertainment industry in Singapore and aim to promote local artiste and music to the international region.